My Dad and Rod went flight school together and served together overseas. After my Dad passed away in 1971, I moved to Vancouver. Rod and I became good friends. We often fished together and took a few trips up into Northern B.C. to catch the elusive monster Spring Salmon. We did catch quite a few but never the 50 pounder we were after. Rivers Inlet was still a peaceful haven in those days (’70’s). His engineering degree combined with his law degree and his photographic, analytical brain, made him an amazingly informed and capable man. His general knowledge was astoundingly deep. As a lawyer he did a huge amount of unsung pro- bono work. He was the quintessential gentleman. He often talked about Jerry. Rod’s other brother, Don, was quite a character and the three of us often found ourselves telling fish stories over J.W. Black Label and Martinis, anchored offshore somewhere, on the goodship “Glennifer”, an old but dignified 42 footer out of the West Vancouver Yatch Club. It was Rod who inspired me to apply to law school and become a lawyer. I have never regretted that decision. The Regina born Smith brothers had a number of things in common, with just one year separating them, both enjoyed sports of all kinds, growing up in Regina meant a good deal of that sport activity would be winter sports. Jerry, the oldest, born in 1921 and Rod the youngest, born in 1922. Both were active in school projects that were based on creative engineering as their Father was an engineer, both did well in school and both loved aviation and staying informed with events that were changing the world. With world events turning more chaotic each passing month in the mid 1930s, It was with keen interest both boys followed the rise of Nazi Germany and the advances made by the Luftwaffe. In 1936, Rod had pictures of the new British Spitfire fighter hanging in his room and he well knew the struggle to design and build such a fine aircraft, Rod and Jerry both understood the engineering challenges it took to achieve such things and both were convinced that the Merlin powered Spitfire was the equal to any German aircraft. Rod and Jerry read every newspaper that was available, their father would share news he had heard on the radio with both boys, they read British aviation magazines, they discussed world events with their Father and Mother and the teenagers knew that if war broke out it would be almost certain that when they completed the educational levels necessary to join the RCAF, both of them would enlist. Both craved the excitement of flying fighters and both had dreams of flying the Spitfire. When an aircraft flew over the house both boys would tear outside to get a better view. Rod was the first to enlist at the end of September 1940, at age 18. Jerry would follow a few weeks later at age 19, at the time of enlistment both had no inkling they would fly Spitfires in the same RAF Squadron, but as fate would have it they did. 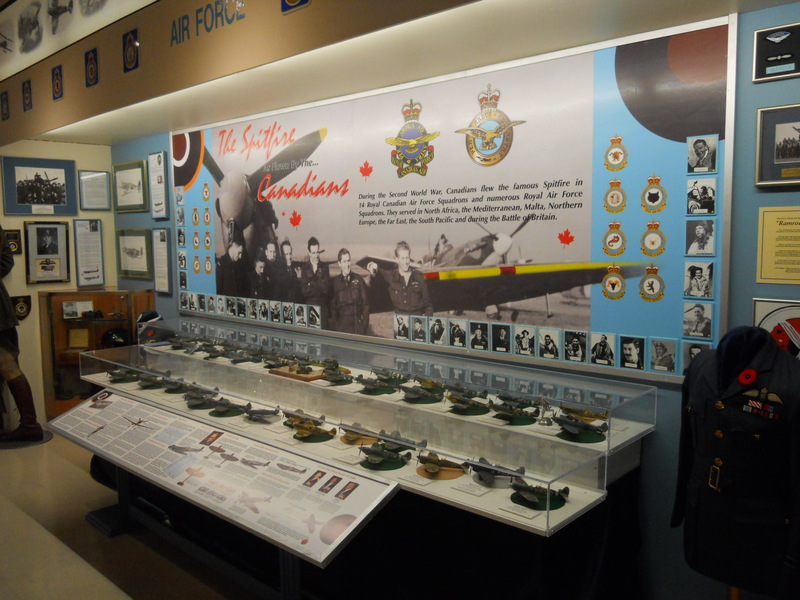 The Smith Brothers would train at different Canadian bases, both would receive their Wings and both Smith brothers would be commissioned in the RCAF. 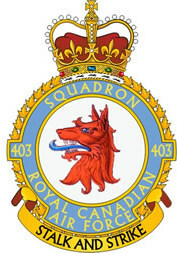 Both would be shipped to England at different times and both would be posted to Spitfire fighter Squadrons, Rod to 412 Squadron RCAF and Jerry, like many Canadians was posted to an RAF Squadron, (60% of all Canadians were posted to RAF Squadrons). Both Rod and Jerry had their share of close aerial combats, both became experienced fighter pilots and both brothers gained considerable experience in attacking Luftwaffe aircraft. With the situation in Malta growing more dire each day the RAF started sending additional fighter pilots to shore up the tired and exhausted personnel that were in Malta, the Germans needed Malta to maintain its army in North Africa and the British were not about to give it up, at least not without a fight. 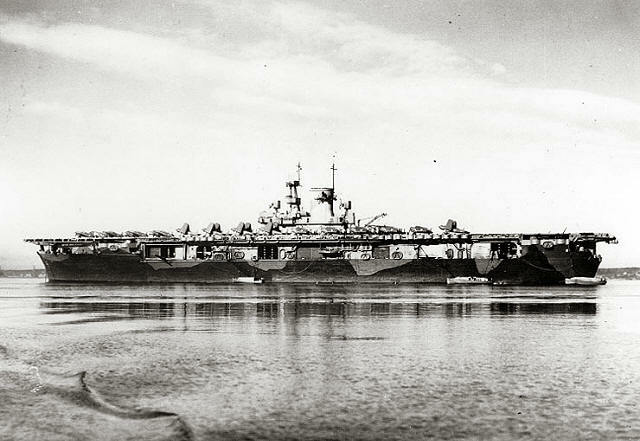 Jerry was posted to Malta and in early May 1942 he boarded the USS Wasp, a huge American aircraft carrier. Called “Operation Bowery” the mission was to deliver Spitfires to Malta to aid in the defense of this strategic little Island. 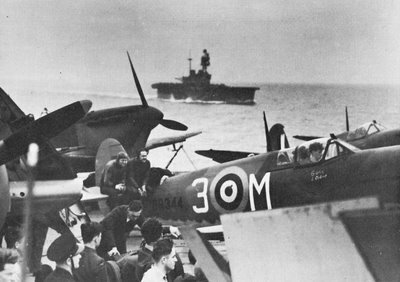 Sixty four, MK Vc Spitfires were loaded onto the American Carrier. Spitfires were being shipped to Malta by Carrier as it was impossible to safely fly from the British bases or from Gibraltar. The plan was to get as close to Malta as possible then launch the Spitfires and they would then fly to Malta and in some cases land during a bombing attack, at the time Malta was the most bombed place on the planet. The Spitfires were not equipped with arrestor hooks so landing back on the carrier in case of trouble was out of the question. On May 9th once, the USS Wasp was 580 miles West of Malta the Spitfires were launched. All got off with no problem. Jerry’s Spitfire coded X-3 serial number BR126 launched with no problem, Jerry soon realized he had fuel feed problems and it would be impossible for him to reach Malta. In spite of being told not to attempt a deck landing once airborne he decided to give it a go after he got the authorization to do so by the ship’s commander. The Spitfire was a fast fighter plane, not designed to land on an aircraft carrier and had no landing hook so I suppose a landing with a Spitfire was not even contemplated, but I can’t be sure of that. After all the Spitfires were clear of the deck Jerry lined up on the carrier and made an attempt at landing. None of the pilots delivering Spitfires to Malta had any training landing on the shifting deck of an aircraft carrier, a task difficult for even the trained, experienced naval pilots. His first attempt failed but he successfully landed on his second attempt stopping just a few feet from running off the end of the massive American carrier, had it not been for several US sailors running up onto the deck and holding Jerry’s Spitfire back he would have gone over the deck into the Mediterranean. To celebrate Jerry’s miracle landing the US sailors presented Jerry with set of US Navy flight wings, Jerry proudly wore the wings on his uniform along side his RCAF wings. Jerry was returned to Gibraltar by the Wasp and later boarded the HMS Eagle to attempt the Malta trip once again, this time Jerry made it. Upon arrival he was posted to 126 Squadron RAF and was flying combat operations against the Luftwaffe the next day. Jerry’s landing on the carrier deck was not considered possible and it was the only Spitfire that accomplished this amazing feat. Rod Smith had kept in touch with Jerry in England but had no idea Jerry had been posted to Malta, Wartime communications were mostly by post with the occasional phone call and Rod had no idea that Jerry had gone to Malta or had successfully landed his disabled Spitfire on the deck of the USS Wasp. 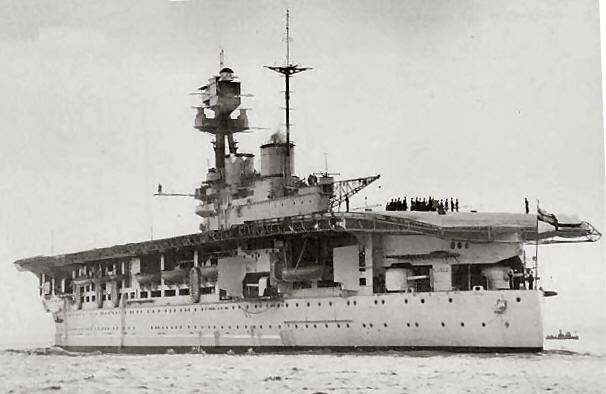 Rod boarded HMS Eagle in early July and on the 15th he took off from the carrier about 600 miles from Malta. 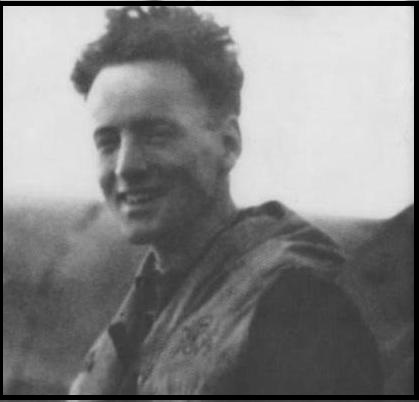 Rod’s flight to Malta was uneventful and when he landed in Malta and while being driven to his quarters he was shocked and pleasantly surprised to find his brother Jerry walking the road with a parachute slung over his arm, after their cheerful greeting Rod discovered he would be assigned to the same RAF Squadron and both would team up and fly operations together, something both brothers never thought possible. They flew many times together, both would fly a variety of serviceable Spitfires, few pilots in Malta could claim a personal Spitfire as serviceable aircraft were few and far between. Rod often flew a Mk Vb coded MK-P serial BR471. Both brothers were aggressive and confident; the brothers shared in the damage to a Junkers 88 Bomber. About one month after the Smith brothers teamed up, Jerry was seen chasing after a Luftwaffe bomber towards Sicily over the Mediterranean ocean, he did not return to the base and he was never seen again. On that particular sortie Rod stayed behind to replace some flying gear and while he was on the way back to his Spitfire Jerry was dispatched to intercept some German bombers. Rod always regretted leaving his side. The Squadron flew several hours of search operations and Rod flew out over the ocean after nightfall as he knew Jerry carried a flash light on his mae west. He hoped he would locate the light and direct a search and rescue boat to Jerry’s location but his search was unsuccessful and Jerry was listed as missing. Rod survived his Malta experience and no doubt he missed his brother. In 1943 Rod was posted to 401 Squadron at Biggin Hill. In March 1944 Rod became a Flight Commander with 412 Squadron. He would participate in the D-Day landings see service in Normandy then Belgium and later promoted to Squadron Leader of 401 Squadron RCAF. In December 1944, Rod was tour expired and returned to Canada to join the Auxiliary Squadron retiring in 1946. Rod is credited with 15 aerial victories and also shared in the destruction of a Luftwaffe jet fighter. He was highly decorated and an excellent Spitfire pilot. Wing Commander, Rod Smith survived the War and his older brother Jerry did not, this unfortunate circumstance would affect many Canadian families but few families would have brothers reunited. The Smith brother would be the exception and it would happen in October 2005. Rod Smith was 80 years old when he died; he was facing some health concerns and told those that were closest to him that he never wanted to be a burden on anyone. Rod had remained a bachelor all his life, he took his own life in 2002, he was a successful lawyer, a yachtsman and very active in fighter pilot reunions, he started to write his memoirs after he retired but never completed them, his family turned his unfinished manuscript, journal, log books and brother Jerry’s logs and notes over to Christopher Shores, a world renowned historian who completed the book for Rod. “The Spitfire Smiths” a unique story of brothers in arms is an excellent book ands well worth the read. In summer of 2005 a group of aviation enthusiasts from the Malta Aviation Museum and others spearheaded a movement to have a Spitfire and a Hawker Hurricane visit Malta to help bring attention to the plight of the citizens who sacrificed so much during the war and to honour the many men that died fighting to protect Malta and to keep shipping lines open. The event would be called “Merlins over Malta, the defenders return” The two famous fighters would fly to Malta this time over peaceful Europe in stages. The routes were planned, support crews were in place and both famous fighters departed England only stopping for re-fueling and for dodgy weather. The citizens of Malta were informed of the arrival time of the two fighters. Every building along the Grand Habour in the capitol city of Valletta was crowded with Maltese citizens awaiting the arrival of two well preserved classic aircraft that had played such an emotional connection to the history of Malta, during the difficult years of World War two. Almost on queue, the two fighters roared over the harbour and the crowds went wild as wartime memories flooded back to the senior Maltese citizens and absolutely thrilled those younger generations that had only heard about the Spitfire and Hurricane from their parents. By chance, Rod’s younger sister Wendy Noble was in Malta to honour one of Rods last wished, to have his ashes spread on the waters of the Mediterranean so he could be once again with Brother Jerry. The crew from the Spitfire flight was in the same hotel. A meeting was arranged and pilot Charles Brown after hearing the Smith brother’s story agreed to fly the ashes over the same spot that Jerry was last observed and then spread Rods ashes. The following day the Mk V Spitfire painted like so many of the Spitfires that saved Malta took off and flew west of Malta towards Sicily, once over the same area, Brown tipped the Spitfire over on one wing, slide the canopy back and poured the ashes from the cockpit into the blue Mediterranean ocean, after a lapse of 60 years Rod had his last flight in a Spitfire and the Smith brothers were once again together. 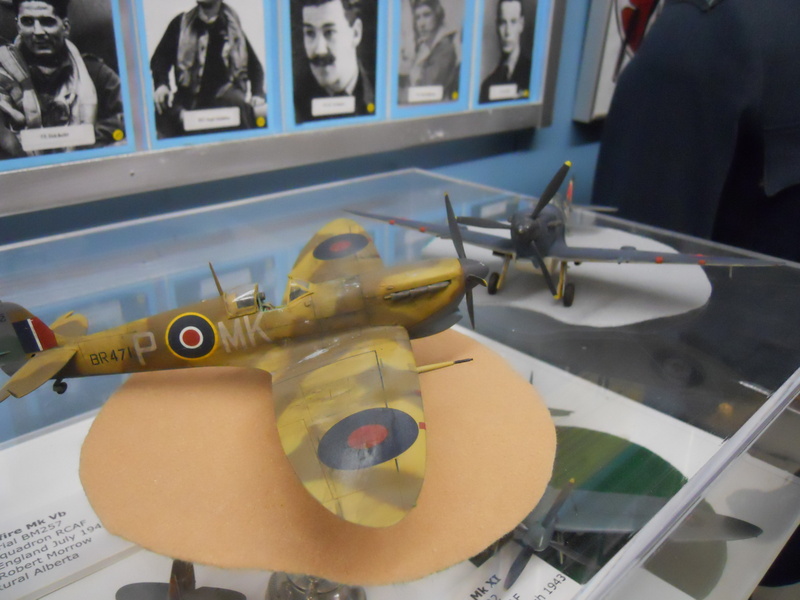 A note on the colour and markings of Malta Spitfires for modelers. Over the year much has been written and speculated by historians and modelers over the actual colours of Malta Spitfires, with little evidence to support most theories so far presented, it is left up to modelers to interpret the sketchy details that were left by Squadron records and from the fading memories of Spitfire veterans that fought with the Spitfire over the tiny Island of Malta. Very few colour photographs were taken or preserved so to date nothing definitive is available for those of us that are interested in such things that was until very recently. 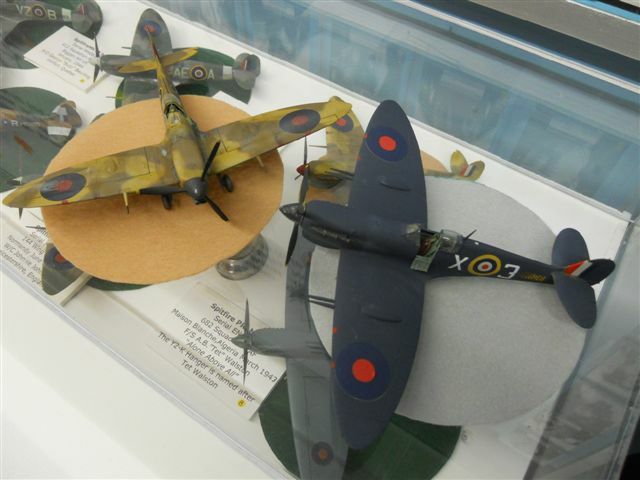 Brian Cauchi of Malta, a master modeler of very high regard has spent the last 20 or so years communicating with former RAF, RCAF and Luftwaffe pilots, he has assembled some of the most detailed accounts of the colour and markings ever gathered and the information he has uncovered is now available in a book he has written. His research method and his sources are impeccable and his work is considered by many to be the best publication of its type ever published. 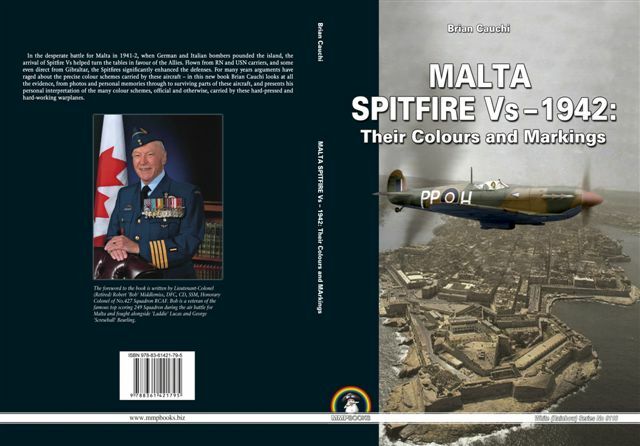 “Malta Spitfires V’s 1942 their colours and Markings” will soon be available to the general public. 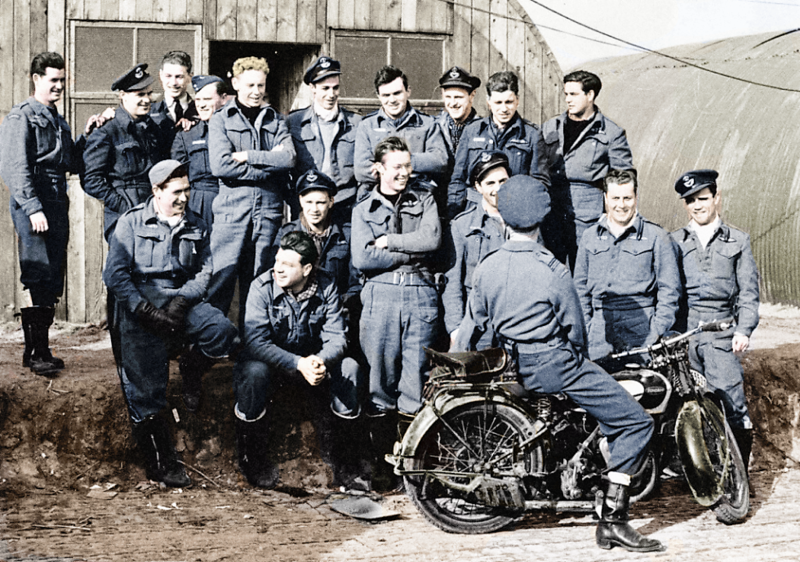 The forward to the book is written by a former RCAF Malta veteran. Lt. 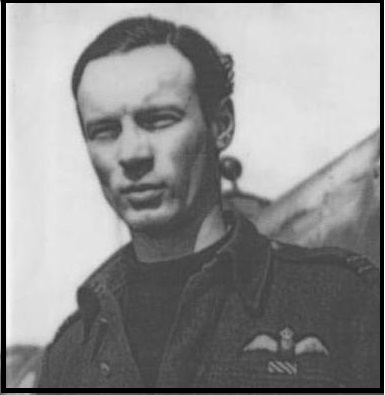 Colonel (retired) Robert Middlemiss, DFC,CD, SSM. Middlemiss flew with 249 Squadron RAF in Malta and he was wounded during a dog fight, he parachuted into the ocean and was rescued. His wounds were severe enough that he had to be flown back to England to recover. He was then assigned to an OTU (Operational Training Unit). to assist with the training of young pilots. 249 Squadron RAF was the highest scoring Squadron during the Malta campaign. Middlemiss was then transferred to 403 Squadron at Kenly, England under the Command of the famous Wing Commander, Jonnie Johnson. Brian Cauchi has given me a peek at some chapters of his book and I have seen a sample of the colour profiles that feature the markings and colours of some Malta Spitfires, in my opinion this book will be the final word on the subject and answer many questions that many veteran modelers and historians have pondered these many years. I can’t wait to get my hands on the book and get started modeling more Malta Spitfires for the museum collection. Always feel free to comment on contact me using this form. This Website pays homage also to Jerry Smith. Here are more shots of Pat’s Spitfire model of Jerry Smith. His first attempt failed but he successfully landed on his second attempt stopping just a few feet from running off the end of the massive American carrier.